St Clair Village - Century 21 Kennect Realty Inc. Contemporary urban living takes centre stage at this luxurious midtown luxury residence that caters to today’s active urbanite looking for straightforward answers in a complicated world. 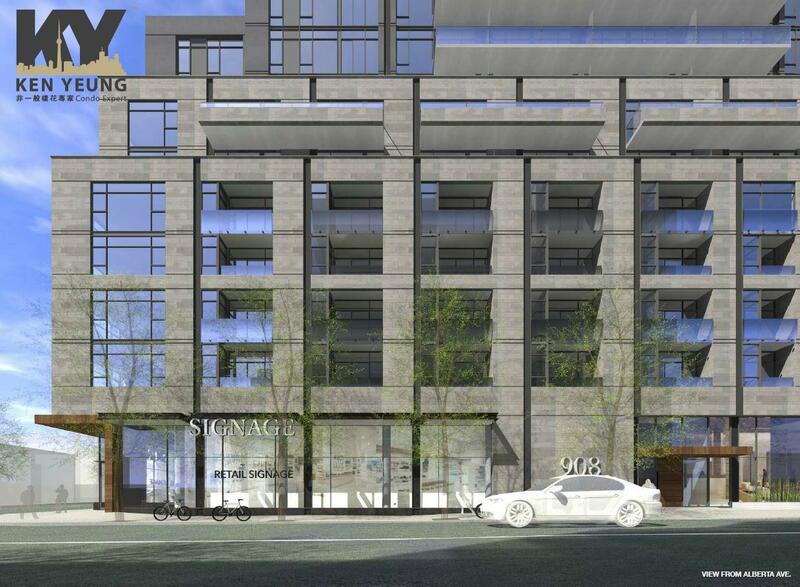 St. Clair Village Condos is a pre-construction condominium in the Oakwood Village neighbourhood in Toronto. 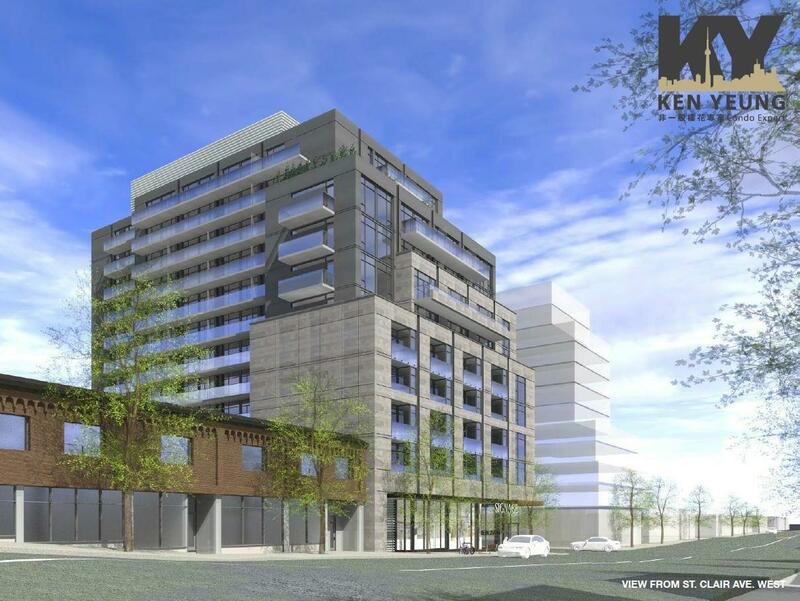 As the next vertically-focused residence to spring up along this midtown streetcar corridor, this future mid-rise condo looks to further the intensive development that has reinvigorated this venerable Toronto street. Owing to its practical solutions for moving around the city, midtown becomes the ideal compromise between an overcrowded downtown core and a remote suburban sprawl. By choosing this condo, you can become the center of attention with this stunningly-designed new condo that provides an ideal city lifestyle free of demanding commutes. Enjoy the best that the city can offer instead of always contending with its worst. Invest in a midtown condo and incorporate vibrant urban living into your lifestyle. 11,739 square metres (126,357 square feet). This mixed-use development will reserve 975 square meters of space for retail use at ground level. 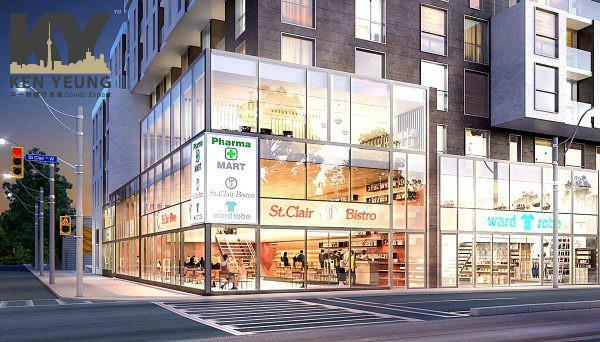 Conceptual drawings show a two-storey glass facade that opens up to face both St Clair and Alberta Avenue, creating a warm retail space that livens up the surrounding neighbourhood. Among the models to be offered as part of its 121 units are bachelor and 2-bedroom suites. 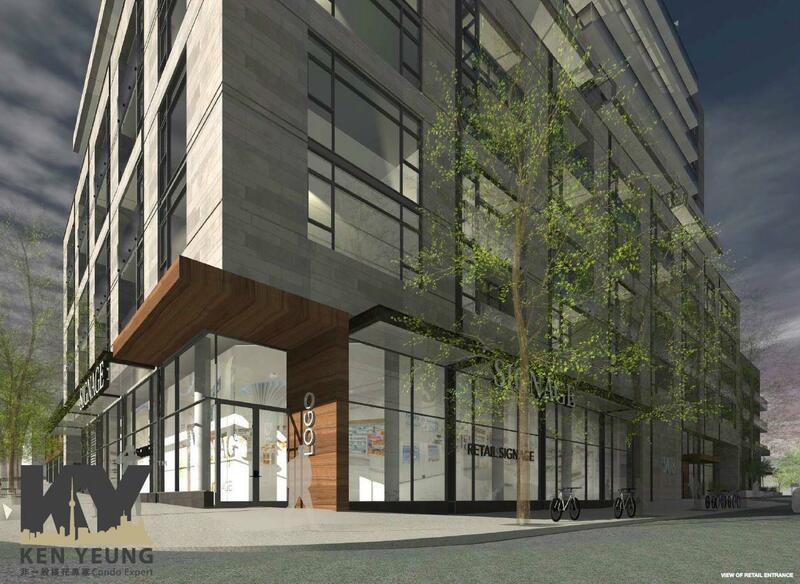 Originally, this condo development plans to construct 71 parking spots spread across two underground levels as well as 163 bicycle spots. 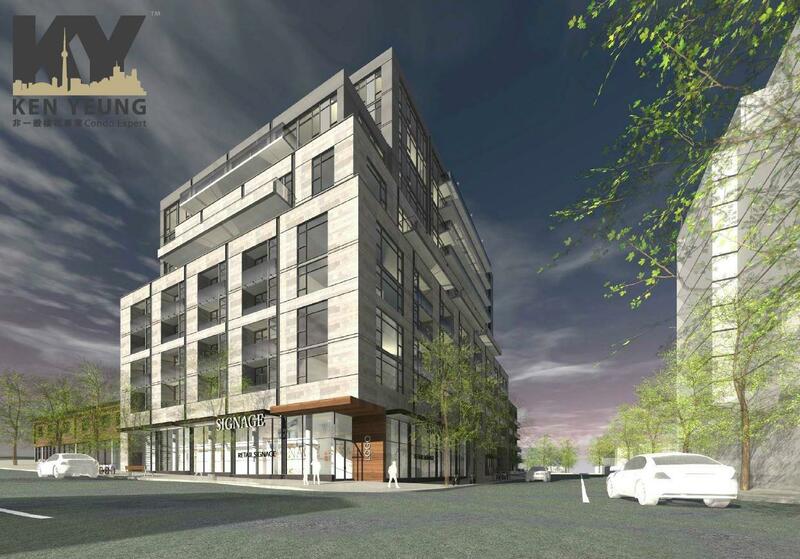 Previous plans designed by Quadrangle Architects for this pre-construction condo have also called for the building of several green roofs, a possible underground geothermal loop, and a 1.5 metre setback from the property line that would allow for a sidewalk widening along Alberta Avenue. 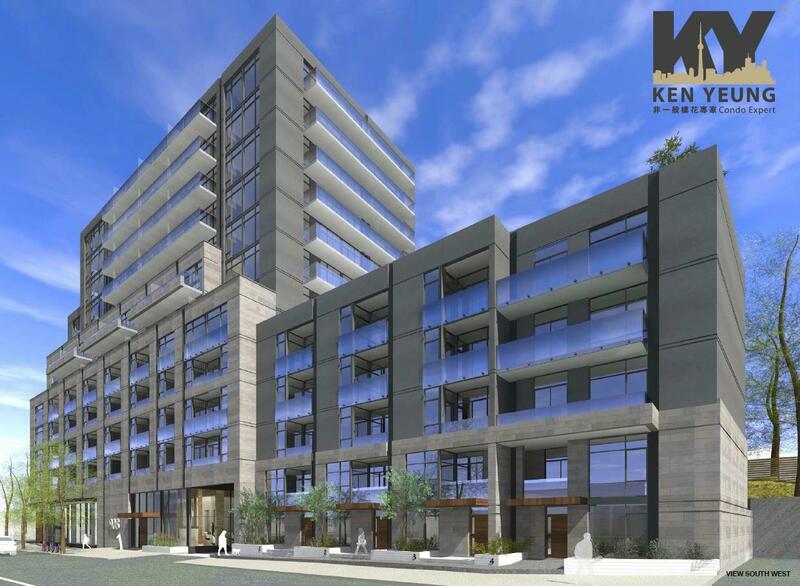 As seen by other condo developments by Canderel and KingSett Capital, this new development is sure to feature many of the same upscale design and sophisticated styling seen at sister projects 2440 Yonge St Condos as well as Bloor and Dovercourt Condos. 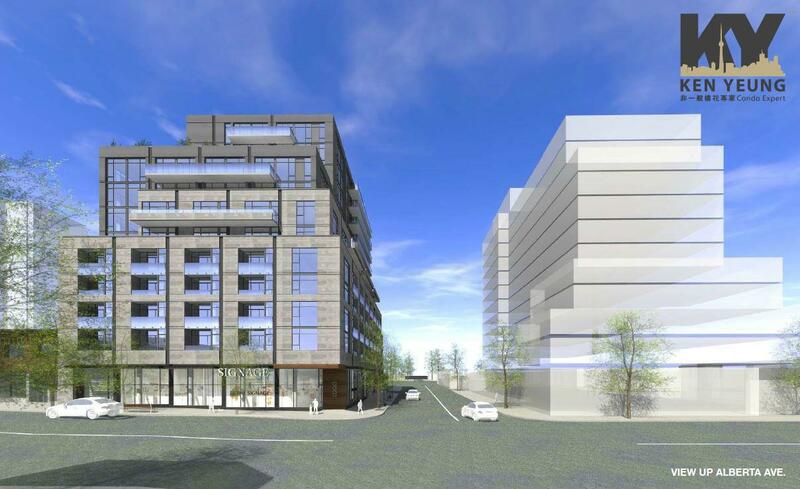 With a keen eye for developing mixed-use properties in transit-centric neighbourhoods, this developer has become as highly-regarded as their clients are satisfied. In addition to enjoying all the comforts of home in this veritable lap of luxury, residents at St. Clair Village can enjoy the best in urban living due to a central midtown location where transit and services can all be found conveniently close by. 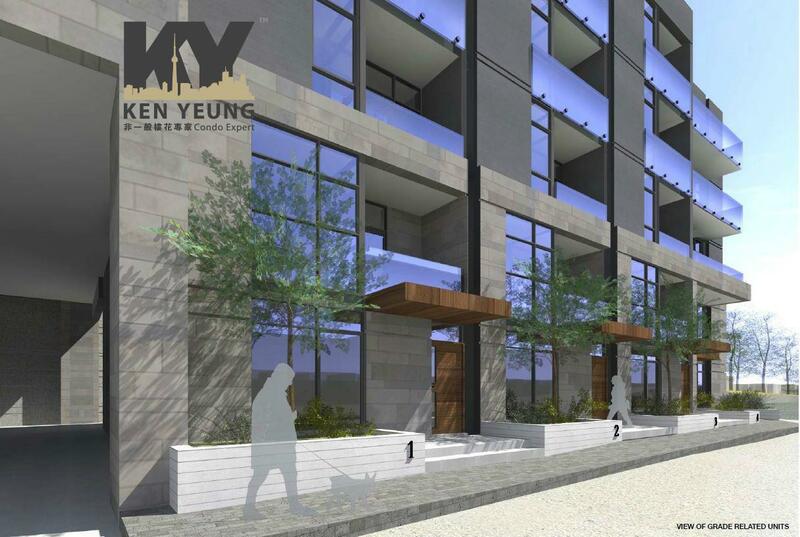 Oakwood Village is a bustling neighbourhood that has been the target of several concerted revitalization efforts by its residents, reinvigorating this bustling community with social and commercial activity. Every year, the enormous pride of this popular artist-centric area comes to light with the Oakwood Village Arts Festival, demonstrating this area’s warm community spirit. 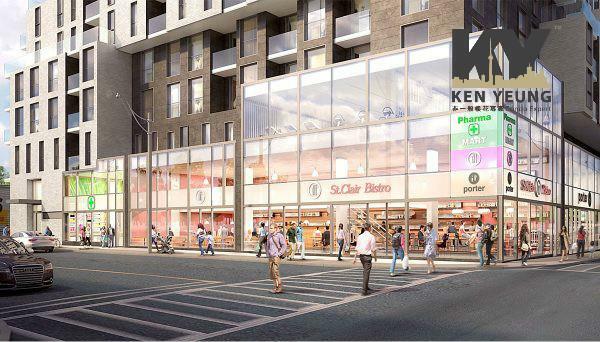 Residents in this vibrant and ethnically-diverse Toronto neighbourhood have access to numerous shops and services that line St Clair Avenue West, the main commercial development in this area. 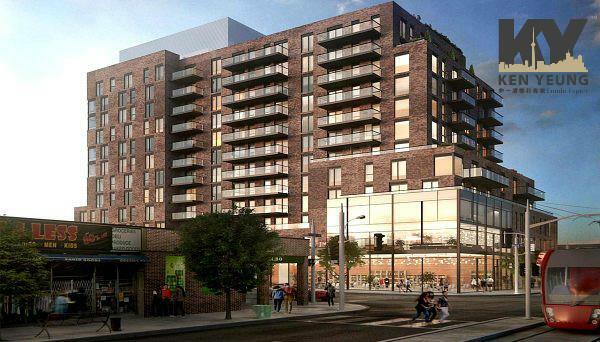 Here, residents can find the LCBO, grocery stores, restaurants featuring a variety of cuisines like Indian and Japanese, yoga studios, numerous diners, rustic bars, bookstores, and banks. The area is also serviced by two area libraries that residents can access by foot in under 12 minutes. And, with the Corso Italia neighbourhood located just next door, condo residents can frequent local Italian businesses such as cafes, bakeries, and gelaterias. With so many shops and services readily accessible on foot, this neighbourhood has been awarded a rare “Walker’s Paradise” Walk Score of 95, signifying that local residents can perform most daily errands on foot. St Clair Avenue West isn’t just great for stores. Home to a hundred-year-old streetcar line that received its own dedicated route in 2007, this road is the main thoroughfare that provides easy access to the rest of the city, earning it a high Transit Score of 83. From this location, commuters can reach St Clair West TTC Subway Station in just 12 minutes, or St Clair Station on Yonge Street in 22 minutes; to the south, local residents can reach Ossington TTC Subway Station on Bloor in just 13 minutes by bus. Additionally, Oakwood Village is served by numerous 24-hour bus routes that include 63 Oakwood and 29 Dufferin, making it a great place for public transit. Driving opens up a range of options that are similarly facilitated by this area’s complex arterial road system. Allen Road is located 13 minutes away by car, and reaching Highway 401 via this north-south fast track corridor will take just seven minutes more. To the south, motorists can access the Gardiner Expressway in just 18 minutes. By car, residents can easily access a number of big box retail stores located just outside the neighbourhood periphery. Home Depot, Canadian Tire, Best Buy, and Staples can all be reached in 12 minutes by car while Dufferin Mall at Bloor Street is just an 8 minute drive away. As convenient as it is, this neighbourhood and its many educational institutes provide also provide a place to grow. Oakwood Village is served by a number of nearby schools that include Oakwood Collegiate Institute, Winona Drive Senior Public School, and Vaughan Road Academy. 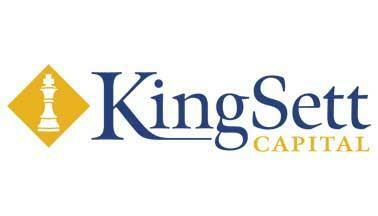 At a further distance, residents will find the campuses for George Brown College and Upper Canada College. Not only that, childcare for this area is provided by Harmony Childcare Centre, conveniently located around the corner from the condo. Another advantage to this area is that there’s no shortage when it comes to parks. Oakwood Village is home to ample green space that includes Humewood Park, Roseneath Park, Charles Breton Park, Graham Park, Wychwood Barns Park, and Hillcrest Park. Sporting enthusiasts can go for a skate at the nearby Phil White Arena or Giovanni Caboto Arena, the latter of which is reachable by foot in just 19 minutes. All in all, we can all see that there’s nothing middle of the road when considering all the great qualities of this luxury condo development. Here, at St. Clair Village Condos, residents can finally live the ideal urban lifestyle instead of commuting someplace further away. 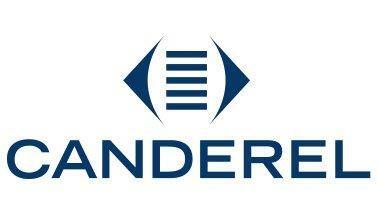 Canderel is a prominent, award-winning Canadian home builder that has established itself as a fixed presence in six cities across the country. With over 40 years of experience satisfying clients, Canderel is responsible for building such iconic modern residences like Tour des Canadiens towers in Montreal and the 14-storey mid-rise DNA 3 in Toronto’s coveted King West Village.